each day. 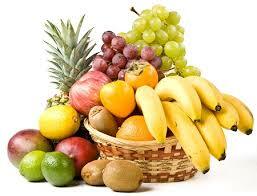 Fruits are extremely beneficial when consumed on an empty stomach. Therefore, starting your day with fruits is a healthy option. Do not have fruits immediately after any meal. generates energy slowly, such as a bowl of porridge or a cup of low-fat yogurt. 3.Do not Starve : Allowing your body to starve is not a healthy option for weight loss as it has its adverse effects. Eat well to fulfill your nutritional needs. 4.Take Dinner Early : You should have the last meal at least two hours before going to bed. 5.Restrict Your Calorie intake : Keeping a watch on your caloric intake is extremely crucial in any diet plan. Calorie-dense foods like fried food, sweets, and pastries should be avoided. 6.Remove Fat from Your Food : keep try to avoid Fat from your Food. All visible fat should be removed from food before cooking. Processed meat like sausages and burgers should be avoided as they contain high calories. Eliminate sugar and starches from your diet plans. Because starchy foods trigger insulin secretion, which leads to fat storage in the body. Cutting down on starch helps control insulin secretion and assists the kidneys in flushing out extra sodium and water that cause bloating. It also cuts down extra water weight. Instead of starchy vegetables, you can have eggs rich in Omega-3, fish, and seafood like salmon, trout, shrimps, and lobsters. You can also have beef, chicken, bacon, pork, and lamb. You should have 20-50 grams of protein daily. Regular intake of protein improves metabolism and keeps you satiated for a long time. Never feel guilty loading your plate with healthy low-carb vegetables like broccoli, cauliflower, spinach, kale, cabbage, Brussels sprouts, lettuce, Swiss chard, and celery. You can have them as salads, stews, grilled or slightly steamed with low-calorie dips. You can easily have 20-50 grams of low-carb veggies. They are high in fiber, vitamins, and minerals that are essential for a healthy body. You can add butter, lard, tallow and coconut oil to your diet as per your taste in moderation. To ensure quick weight loss, include exercises in your daily life style. No more crash diets and starving to lose weight! Always Remember to follow a safe and healthy way to lose weight. ‘Stay active and stay natural & fit’ should be your new mantra to lose weight.